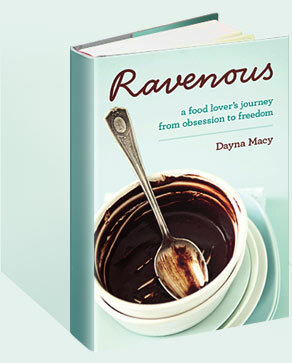 2014 February — Dayna Macy, author of "Ravenous"
The first piece about Google in the mainstream press was by my husband, Scott. Here’s a piece in the Business Insider about it. After 24 years, he still amazes me. I woke up this morning to the sound of rain. It’s so dry here in Northern California where I live. The worst drought, I’ve heard, in 500 years. The sound of rain is so rare, I was at first confused. I wasn’t sure what I was hearing. I opened up one groggy eye, looked out my window and saw raindrops dancing down my window. I am so grateful. And underneath my gratitude is panic. It’s bone dry here. Water levels are at their lowest in decades. What we need is so basic — fresh air, clean water. We can despoil our planet only so much, and then it fights back. And when it does, it shows us just how small and needy we really are. The world is changing. It’s being replaced daily by a planet that will become unrecognizable. I’m afraid for my children, their children, and future generations. I’m afraid for our generation.